The City of Seattle teamed with Pecha Kucha Seattle to present Big Ideas: Seattle 2035. 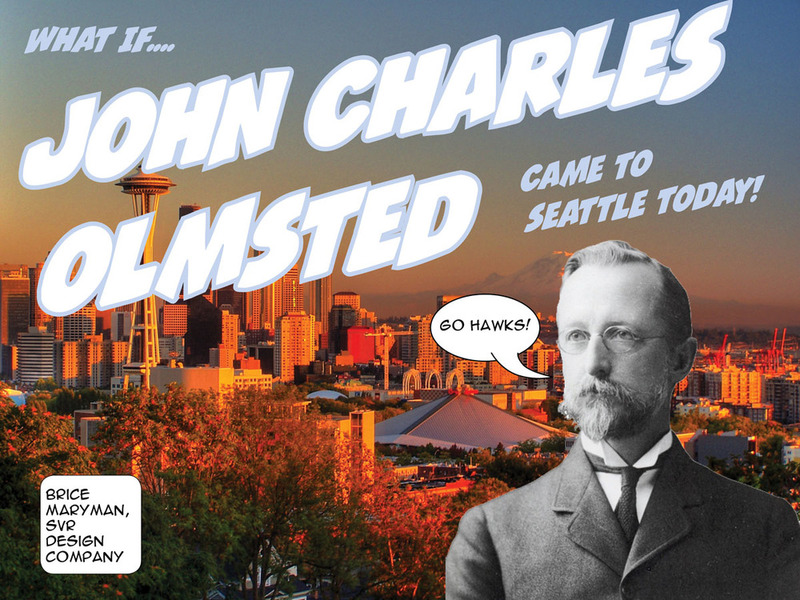 Our own Brice Maryman presented a hypothetical scenario: What if John Charles Olmsted Came to Seattle Today. Enjoy his presentation (starting at 21:27) by clicking here to pop out the video here. You can also hear an excerpt of Brice's presentation on KUOW here.